This mare would work well for anyone wanting to start breeding pretty, classic horses. She has produced two beautiful fillies for us by Sir Marwan CRF of which we are retaining. 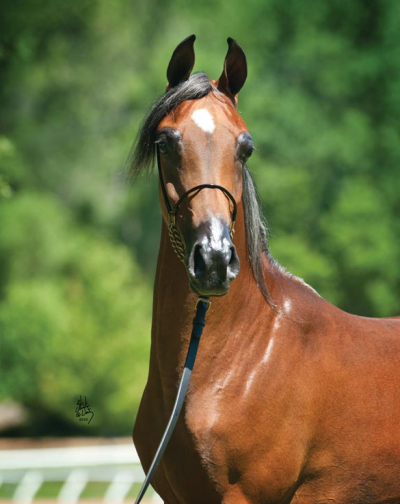 “Angel” is currently open and comes with a non-transferable breeding to Sir Marwan CRF, or we will breed to an outside stallion of your choice. Being sired by Ames Mirage and out of Carnello she would match well with most stallions. She has a very sweet personality. Mare will remain at CRA at CRA’s expense until the 2014 foal is weaned and CRA will breed to Sir Marwan CRF or outside stallion of your choice. CRA will provide breeding, purchaser is responsible for any outside stallion fees, shippin costs, etc.